WOW! It was actually warm today in Portland! One of the few Summer days this season that has me in shorts. I have noticed that in the warm weather, I feel slightly sluggish. Feeling sluggish, and lacking energy is no good during the Summer months. Those are the months that I like to work hard, and get stuff done. As much as I love coffee, I do notice that I feel way tired at the end of the day. Some coffees and caffeinated drinks are full of synthetic and artificial caffeine. I get so jittery from those drinks, so I try to avoid them. I like to find natural energy sources such as tea, specifically Runa teas. 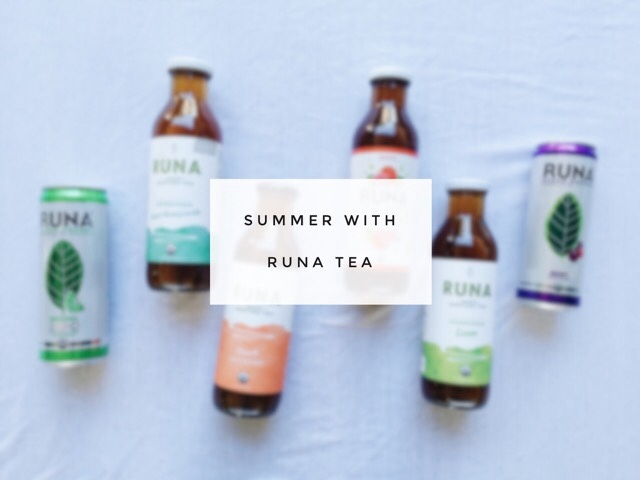 Runa teas are the perfect way to energize for a long day, and to refresh yourself during the Summer. On weekends, I start work at 7:00 am, so lately I have been drinking Runa Clean Energy drinks for a little boost. Some weekends, I am running twelve hours at a time, so a clean caffeine boost is NEEDED! 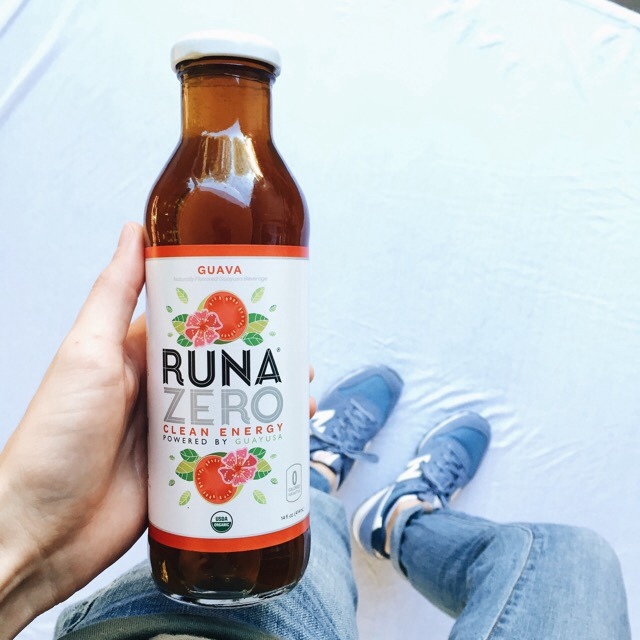 On the weekdays, I like to begin my day with Runa's bottled teas, which have as much clean energy as a cup of a coffee, plus they taste so amazing! 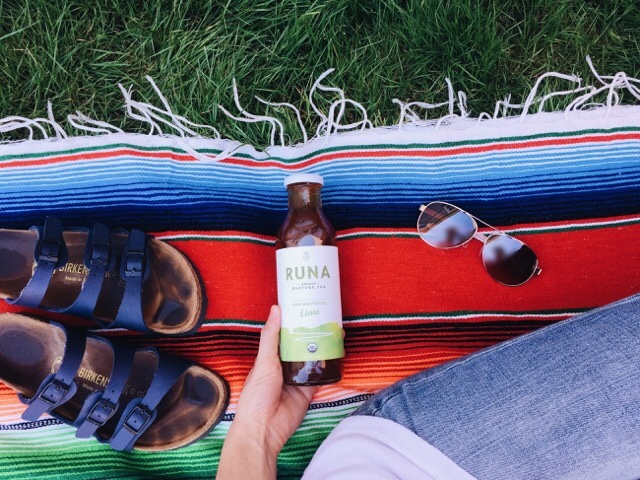 A great way to wake up, some avocado toast and a chilled Runa. 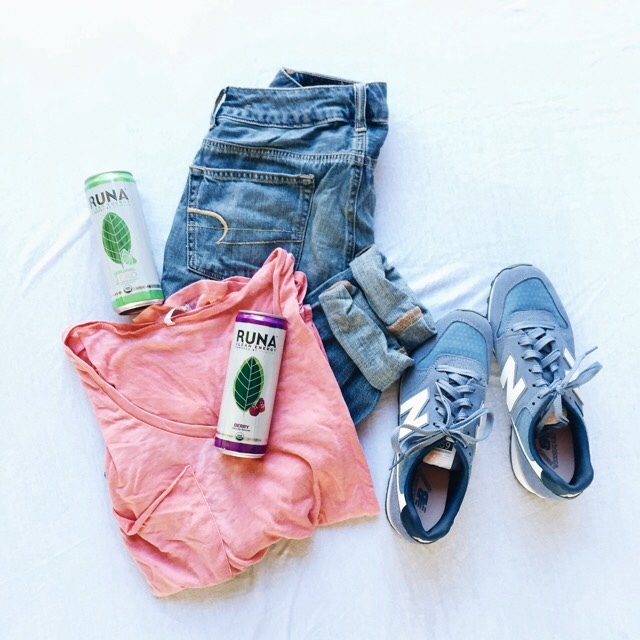 For those mornings that I want an early start just for the heck of getting stuff done, I force myself out of bed, get dressed (because we all stay in our jammies all day) and grab a Runa Clean Energy drink. 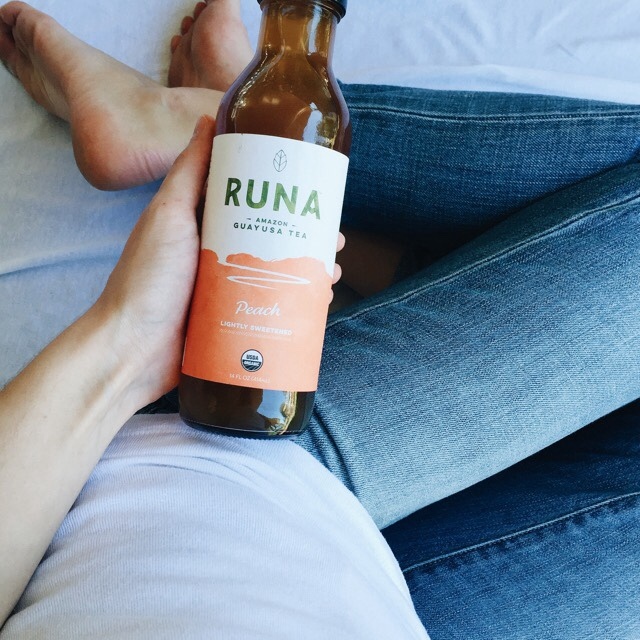 Runa's Clean Energy drinks are made with guayusa (pronounced gwhy-yu-sa) leaves, which are grown in the Amazon. Guayusa is technically not a tea leaf, as it is not associated with the tea leaf species, which is grown in Asia. Guayusa is a leaf that is chock-full of natural caffeine, amino acids, antioxidants, and beautiful flavor! Guayusa differs from other teas, such as black and green tea because it does not contain tannins (which cause a bitter taste) in the tea. That is why Guayusa has such a smooth, beautiful flavor. I love taking Runa with me everywhere! 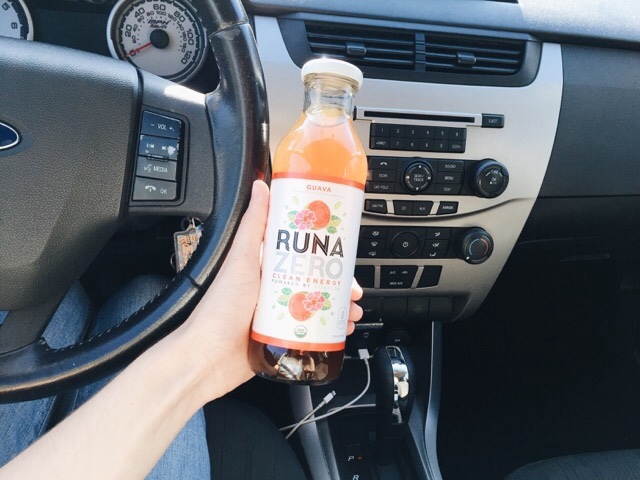 Whether it is running errands, or going to work, Runa has been my beverage of choice lately. I notice that when I am gearing up to go to work in the afternoon, I lack in energy (because it's work...) and therefore, a Runa is necessary. After I drink a Runa, I am zipping around at work and I have energy to get me through the shift. There is an array of Runa tea flavors, my favorite so far is the Guava. I am also liking the Unsweetened Mint Honeysuckle. Both teas are so refreshing, and super light, but contain enough clean caffeine to give you that boost. 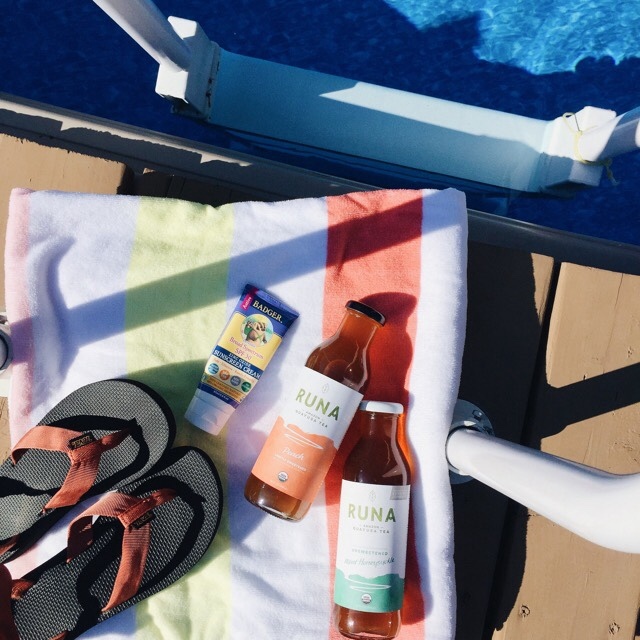 No jittery nerves with Runa, EVER. As I always do, I want to take a minute and talk about Runa's brand identity. I am IN LOVE with their new look! I have always liked the "watercolor" aesthetic; those pastel colors with a slight messy border. Their new look is so clean, and cute might I add. The perfect product encompasses beautiful, effortless packaging, along with quality of taste and performance. Runa has hit every item on the list of what makes a quality product. I know that if you tried Runa's many teas, you would fall in love with them! Find Runa near you with their wonderful store locator, or you can order via their Amazon channel. I love being educated on what is in my food or drink, so browse their website, and learn more about Guayusa by visiting their guayusa fact page. I guarantee that you will love Runa as much as I do once you give it a try. 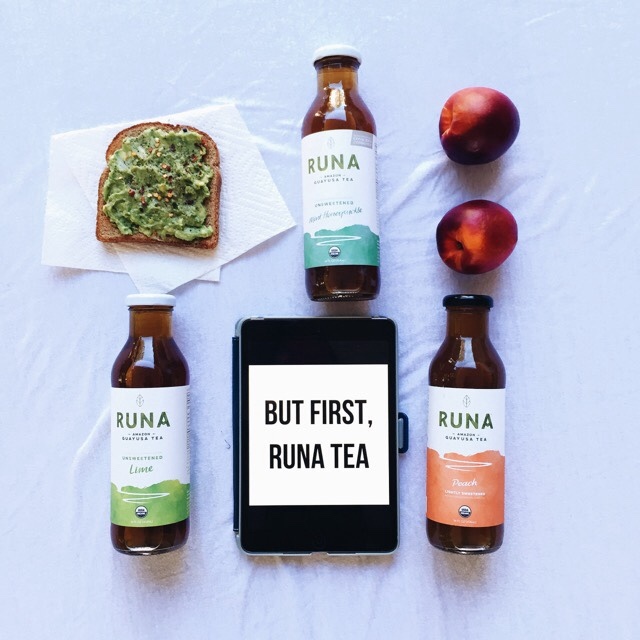 I would love to know how you drink Runa tea, so comment below with your Runa story. This post was sponsored by Runa. All pictures and opinions are my own.